Enter the Boettcher Teacher Residency program, which is working to shift those numbers. 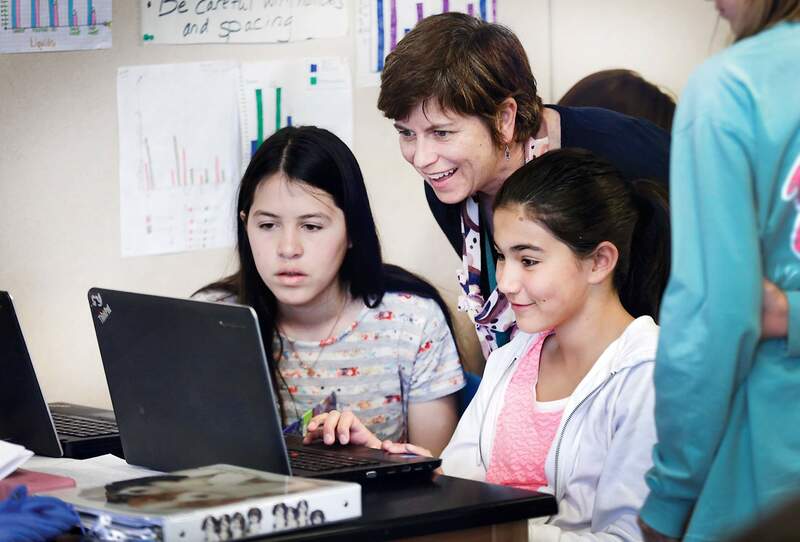 Aspiring teachers in the region are finding it a gateway to success, and small rural districts such as Ignacio, Cortez, Dolores and Dove Creek are beginning to fill hard-to-fill positions, particularly in math and science. The Boettcher program recruits people who are professionals in their fields, or at least have their bachelor’s degree in a particular discipline, and gives them yearlong in-the-classroom training and support through the next four years of their teaching careers. Ninety-three percent of Boettcher-trained teachers are in the classroom after eight years. Teachers-in-trainingLeigh Gillette comes to the classroom after a career that included working for Colorado Parks and Wildlife, Durango Nature Studies and water conservancy districts. Over the next couple of decades, she logged a lot of miles coordinating education efforts, primarily for Parks and Wildlife, at places such as Paonia, Ignacio, Cortez and the San Luis Valley. It’s people with that attitude that Jeb Holt, the Boettcher program’s field director for Southwest Colorado, looks for in candidates for the program. What makes the Boettcher program effective and different from other teacher training is the ongoing support. That includes cohort networking, instructional coaches, lab classrooms and Public Education and Business Coalition institutes such as history and social studies, math and science, reading and writing. The balance is challenged because not only are resident teachers in the classroom full time their first year, they are studying half-time for their master’s degrees in teacher licensure through Adams State University in Alamosa with classes in Durango every other Friday and some evenings. Gillette also is working on a master’s degree for science teachers through the New Mexico Institute of Mining and Technology in Socorro. Fort Lewis College will add a master’s degree in teacher licensure in 2017 that includes some of the same elements as the Boettcher residency, although it’s a two-year program as opposed to the five years Boettcher offers. The hubDistrict 9-R is different than other districts involved in the program because it tends to attract experienced teachers. So it serves as a regional hub, while seeking what it does need, teachers who are people of color or minorities as well as people with experience in specialized areas such as the culinary arts. 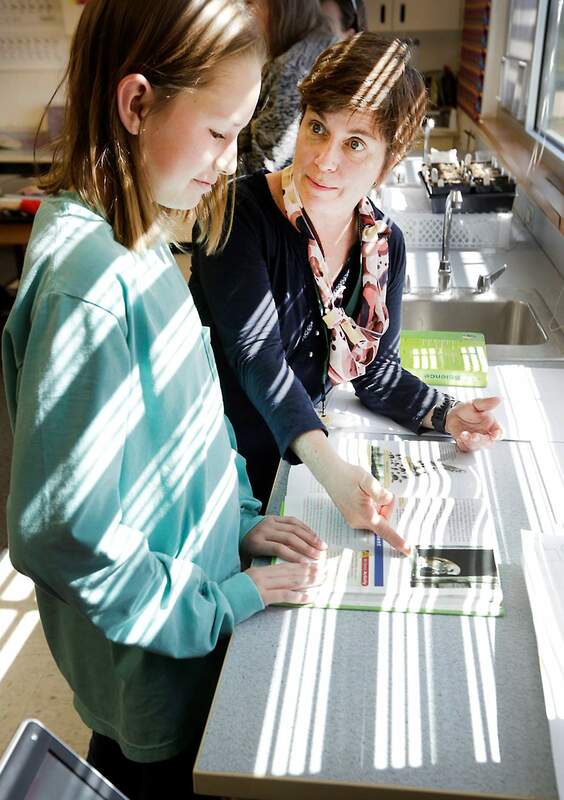 Leigh Gillette, who is taking part in the Boettcher Teacher Residency program at Durango School District 9-R, works with Olivia Coster, 12, in her science class at Miller Middle School on Wednesday. “With my background, I think ‘Let’s go outside and map, document and inventory,” Gillette said, “but Mr. (Mark) Pastore is helping me add the technology piece.” Olivia is the daughter of Erika Ball and Brandon Coster. Visit www.boettcherteachers.org to learn more about the Boettcher Teacher Residency program. The program for 2016-2017, which starts in July, is accepting applicants at www.boettcherteachers.org/how-to-apply/application-instruction/. If accepted, applicants must also apply to the Colorado Department of Education for educator licensing, including submitting a fingerprint card and test results from the PLC or Praxis II exam, and a Free Application for Federal Student Aid. 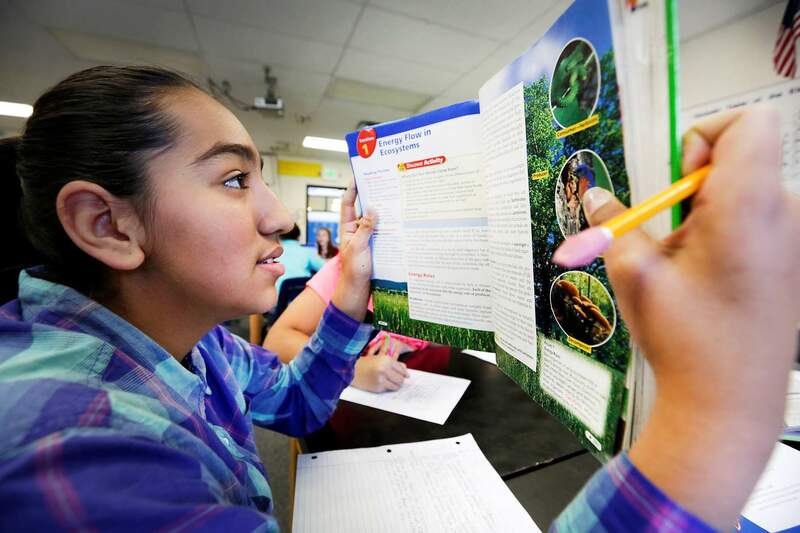 Susana Espinoza, 11, studies her textbook after Leigh Gillette, who is becoming a teacher through the Boettcher Teacher Residency program at Miller Middle School, worked with her in science class. Susana is the daughter of Maria and Antonio Espinoza. Leigh Gillette, who is taking part in the Boettcher Teacher Residency at Durango School District 9-R, works with Paris Kindall, 12, left, and Grace Holst, 12, in their science class at Miller Middle School. Paris is the daughter of Taliah Agdeppa and Thomas Tamburello, and Grace is the daughter of Cara-Lyn Lappen and Jon Holst. 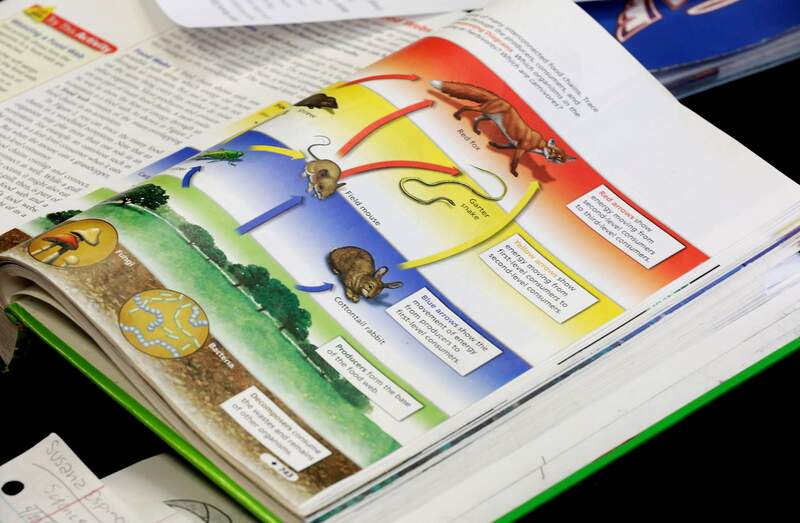 A science class textbook at Miller Middle School is one of the tools Leigh Gillette, who is becoming a teacher through the Boettcher Teacher Residency program, is using in her training.